Menghai Raw Pu-erh Cake Tea 2018 - Dog Year is featured with noticeable honey and floral aroma, which is sweet and less bitter. 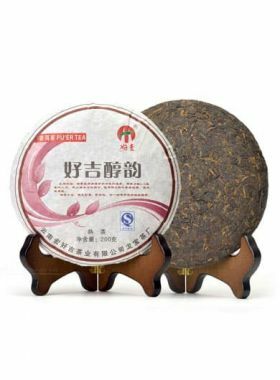 The Chinese Zodiac pu-erh cakes have been popular in recent years. 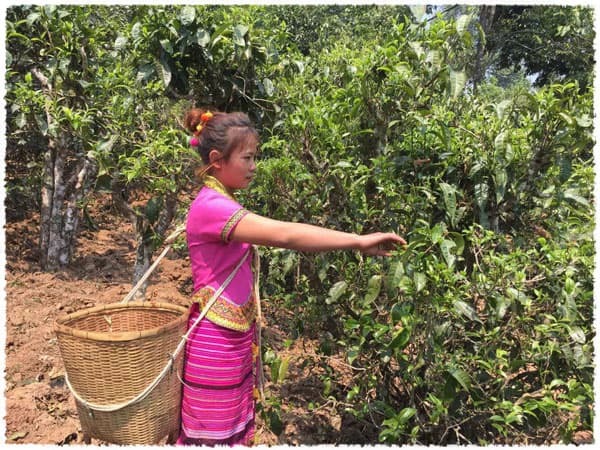 The tea farmers pick the first batch of fresh leaves for these teas around the Qingming Festival, and then from this batch selected the best leaves to be made into that year’s zodiac tea, which not only tastes good but also transforms as time goes on. 2018 is the year of the Dog, ranking as the eleventh animal in Chinese zodiac. It is the symbol of loyalty and honesty, while the barking of the dog sounds similar to the Chinese word “Wang”, which carries the meaning of prosperous for family business. For Chinese people, “wang” is also a symbol of good fortune and wealth. This pu-erh cake from TeaVivre was picked and produced in 2018, the Year of the Dog - or “WuxuYear”. 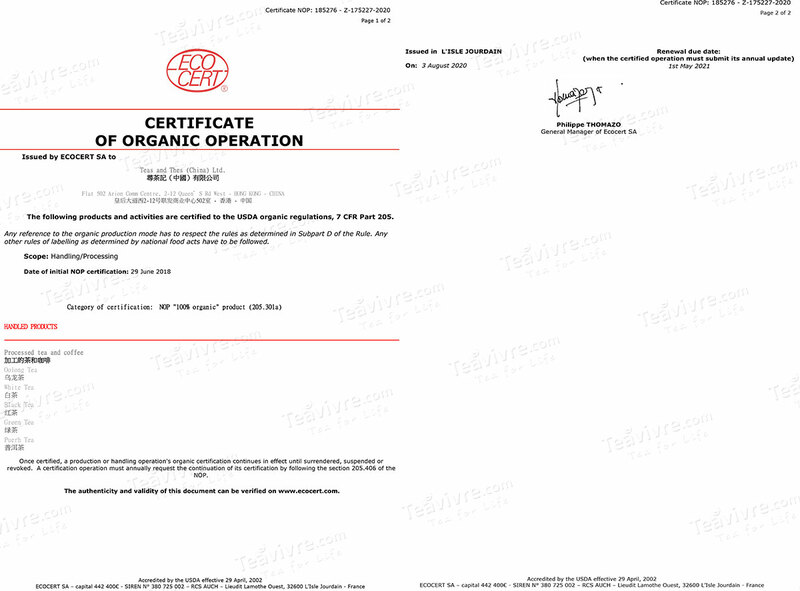 The raw material is of the first spring, first grade pu-erh material, most of it being one bud with one leaf. The leaves are a tender, first flush tea, so the cake is full of delicate fuzzy hairs. 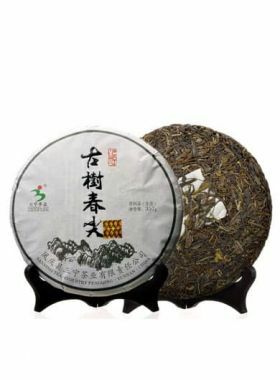 It does not have the strong, bitter taste of other new raw pu-erh teas, and its liquid is sweet and tender with a honey and floral aroma. It enters with smooth and soft taste, accompanied by slightly bitter at first only to give way to its sweeter taste. After drinking, you’ll get a pleasant lingering sensation of sweetness on your palate with no bitterness at all. Even, its aroma lingers on afterwards when the tea cup is empty. 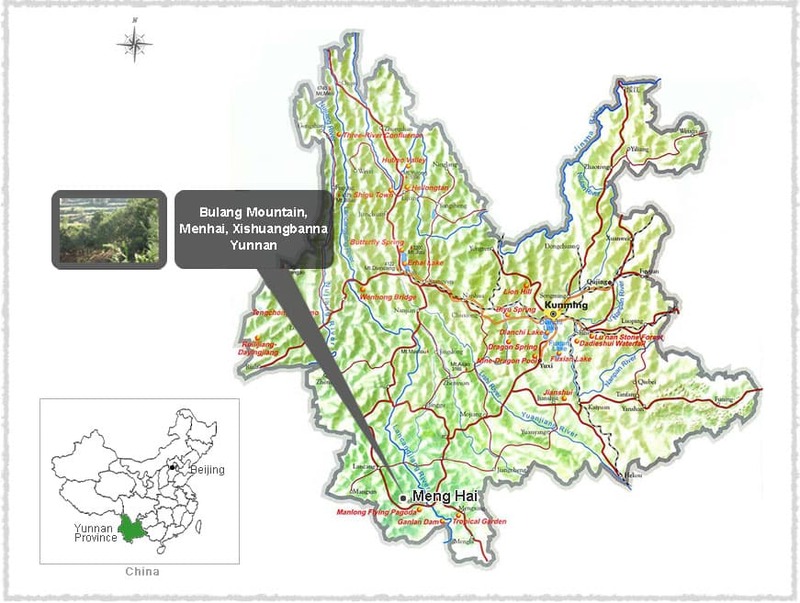 The Man Xin Long stockaded village is located in Bulang Shan at an elevation of about 1800 meters, and is wholly surrounded by forests. The Bulang nationality of people migrated here over two hundred years ago, and planted tea trees all around the nearby hillsides in that time. 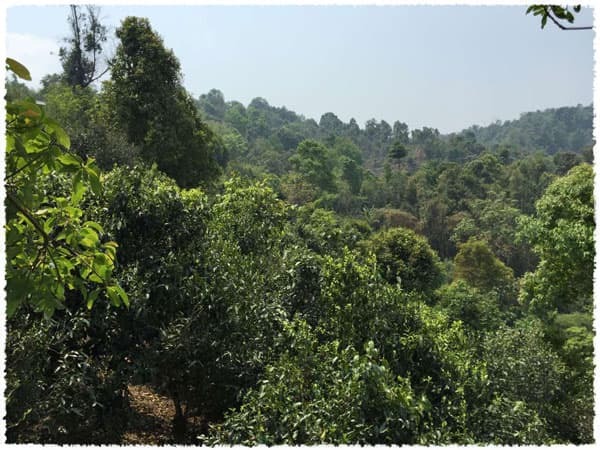 Bulang Mountain rises up above Menghai County of Xishuangbanna, Yunnan, a famous area of pu-erh tea production, and with the highest abundance of ancient tea trees within an area of 100,000 hectares. The Bulang Mountain rolls and stretches across the land, with deep valleys creasing through the hills. The average elevation here can reach to around 1200 meters, while the highest spot, Sanduo Peak, reaches above the clouds at over 2000 meters. Standing here gives you a clear view of the entire mountain. The climate here is of the subtropical monsoon type, with abundant sunlight and rainfall of about 1374mm per year, and an average temperature right around 20℃, and a remarkably short frost season. Spring and winter here are characterized by a thick fog, while summer and autumn are most often overcast and rainy. Native to Menghai County, the Menghai large-leaf tea tree species was rated as the most improved national variety in 1984. This species has the ability to grow up to seven meters tall in the wild, with bold green leaves that are much larger than more common varieties. 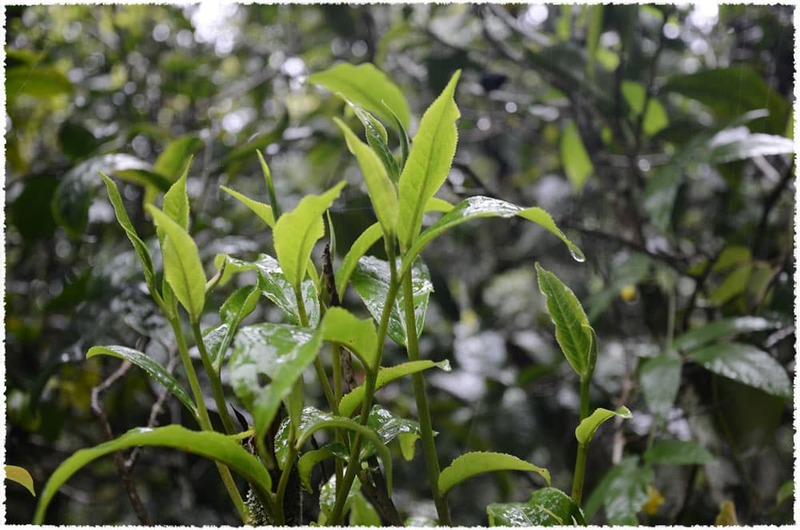 The buds of this tree take on a yellowish-green color and are covered in downy fuzz, and the leaves themselves are rich in phytochemicals: one tea bud with two leaves contains 2.3% amino acids, 32.8% polyphenols, 4.1% caffeine, and 18.2% catechinic acid. 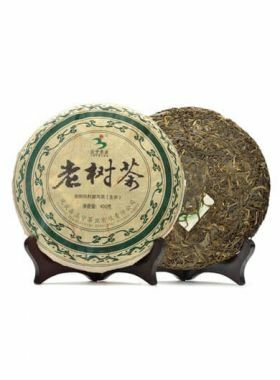 As a result, pu-erh tea made from the Menghai species is of high quality, rich flavor, and soft yet full-bodied essence.